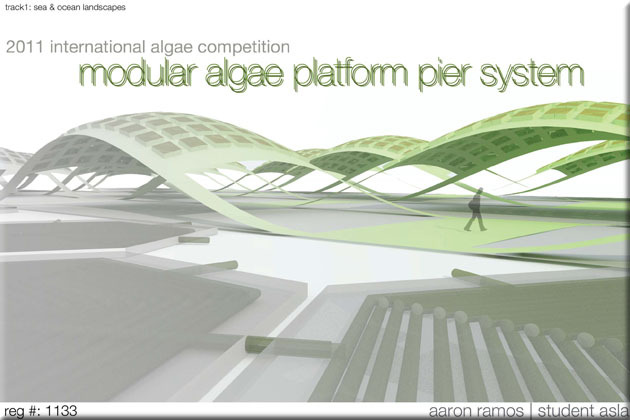 Modular algae platform pier system. This system extends public space on any body of water surrounding urban cities and is composed of algae platforms and collector pods. The platforms extend urban public space, and cleanse both air and water. 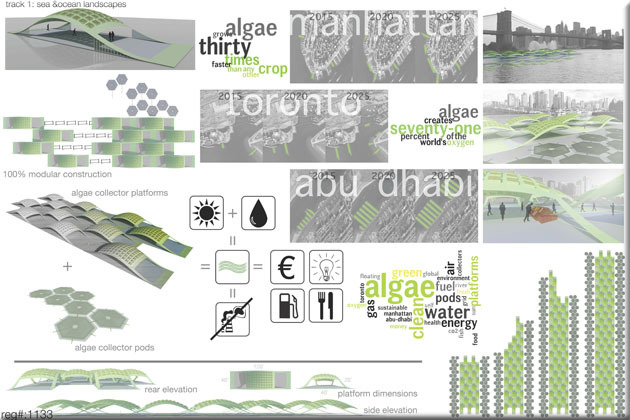 The algae solar panels provide a city with energy, fuels, food, and exports. For more information about this entry, contact the author. email: arr5258@psu.edu.